The Clover Club | Oh No! Not Another NYC Food Blog! American food + bar specializing in revival artisanal cocktails in Cobble Hill. 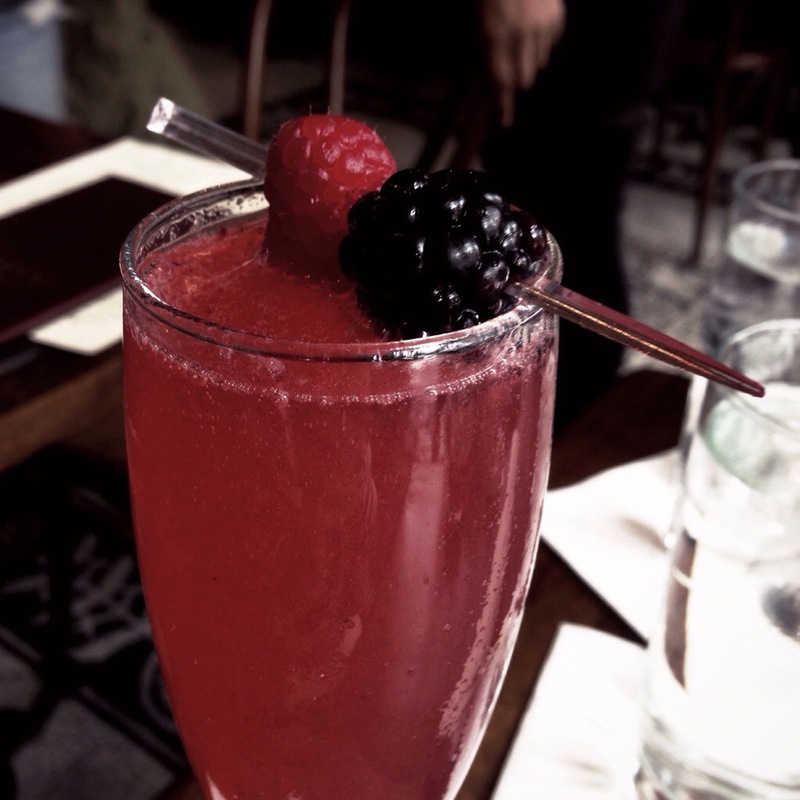 I had the Clever Girl Royale – Old Tom gin, vanilla, lemon, blackberries, raspberries & prosecco – Fantastic. Clean, bright and rich – perfect for brunch. My DH had the Bourbon Bloody Mary – Really deep and complex – maybe too complex? Hits of vanilla and all sorts of stuff. Kept him guessing throughout the meal. 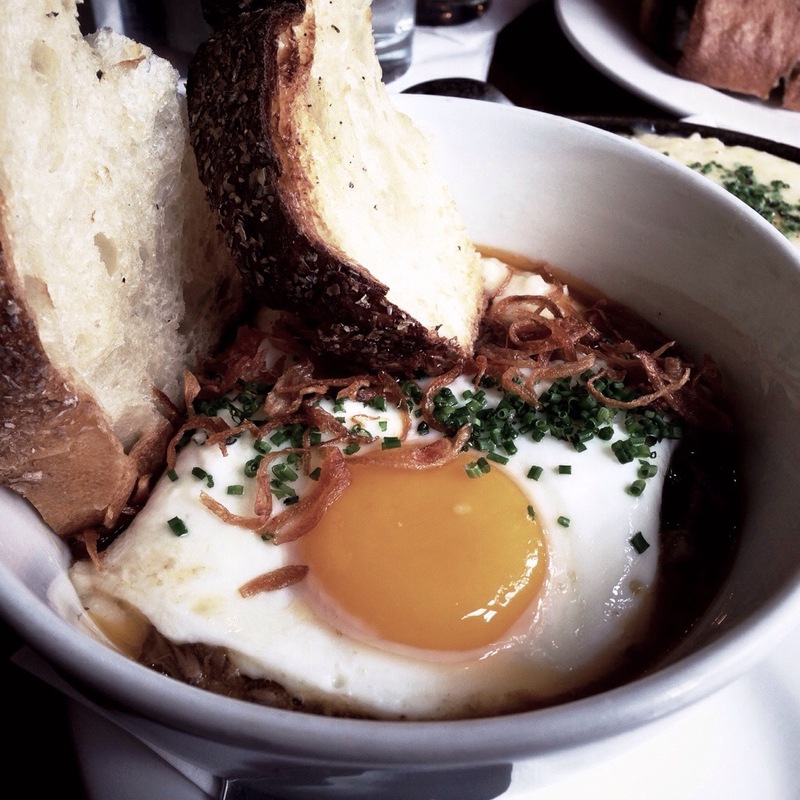 For brunch, I had the Pork n grits – Braised pork served over cheddar Anson Mill grits, topped with a sunnyside-up egg and crispy shallots. Served with sourdough toast. This dish was fantastic. Hearty, filling and luscious with really satisfying bread. 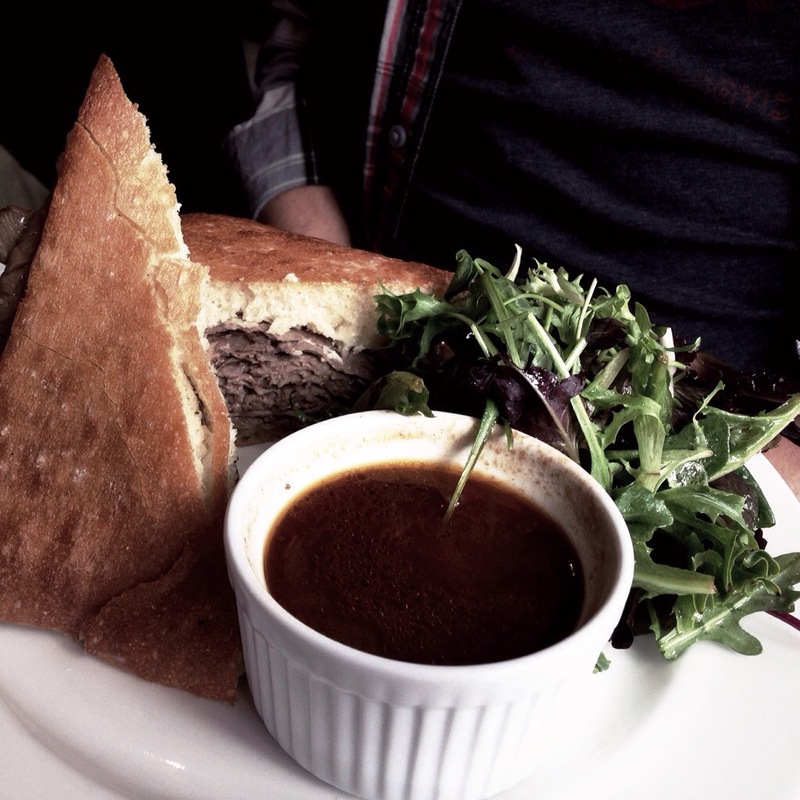 My DH had the French Dip (came with simple dressed greens) – Nothing to hide behind here – just a simple sandwich where quality shines through. Great meat and real jus. 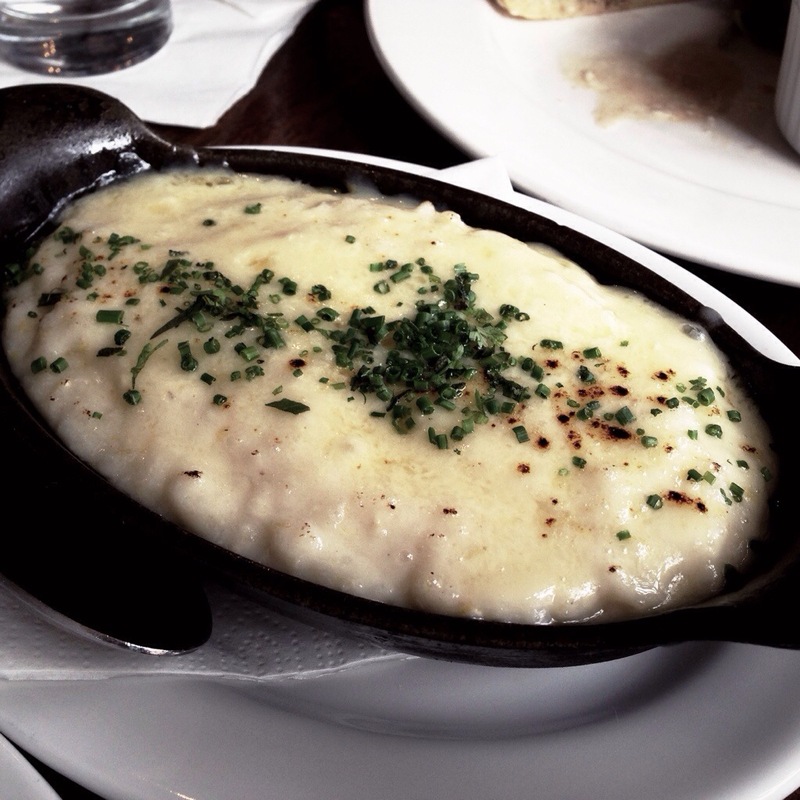 He also had his own side of cheddar grits – which were delicious, even without pork. 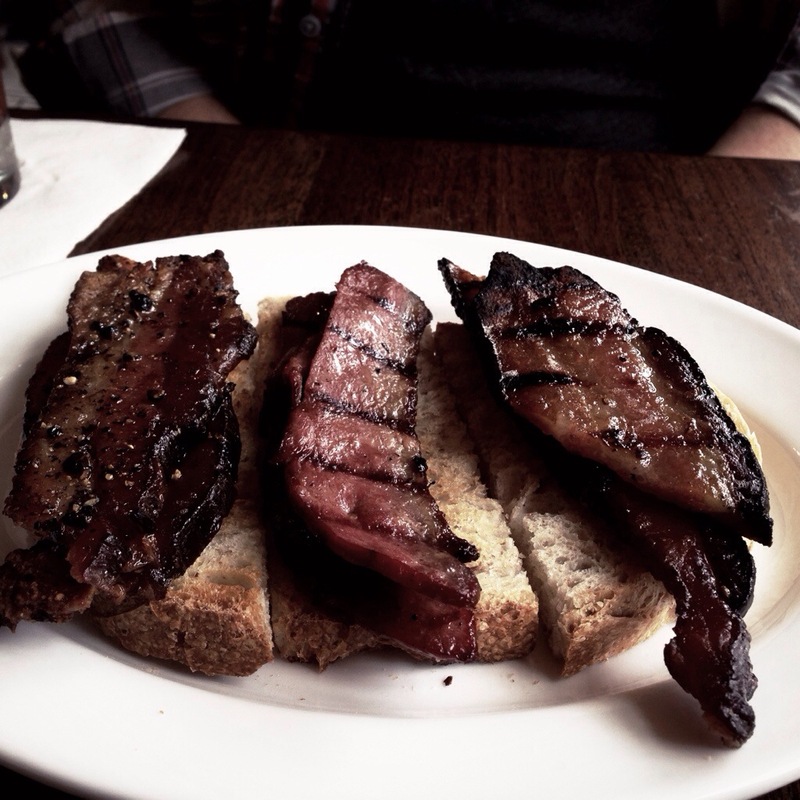 And we couldn’t resist the Bacon Tasting – A selection of three styles of thick cut bacon. Maple bacon, black pepper bacon and duck bacon. Split verdict on the favorite – I loved the duck bacon; the DH loved the maple. All three were awesome. Black & white & dark wood & glass. Food was really slow, but the service wasn’t bad otherwise. 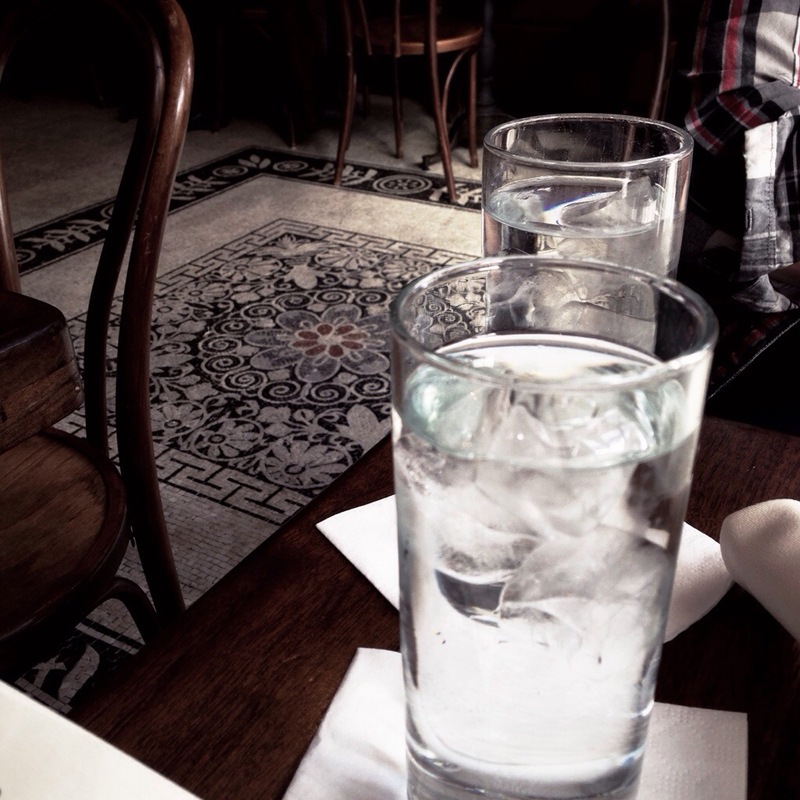 We came on recommendation of a bartender at one of my favorite bars in Manhattan – The Flatiron Lounge. Owned by the same people, both locations make drinks you can’t get out of your head. 4 out of 5 if you’re not in a hurry for stellar drinks and great food.